You're heaping so much praise on me, that on the one hand it's nearly embarrassing me, but on the other hand, it makes me proud and happy and spurs me on continuing to do my best. I can't speak for everyone, but THAT'S the way I usually feel when I see you've posted an update. Literally speechless. if that's really the case, that would be great, but I'm even more pleased about every one of your comments. 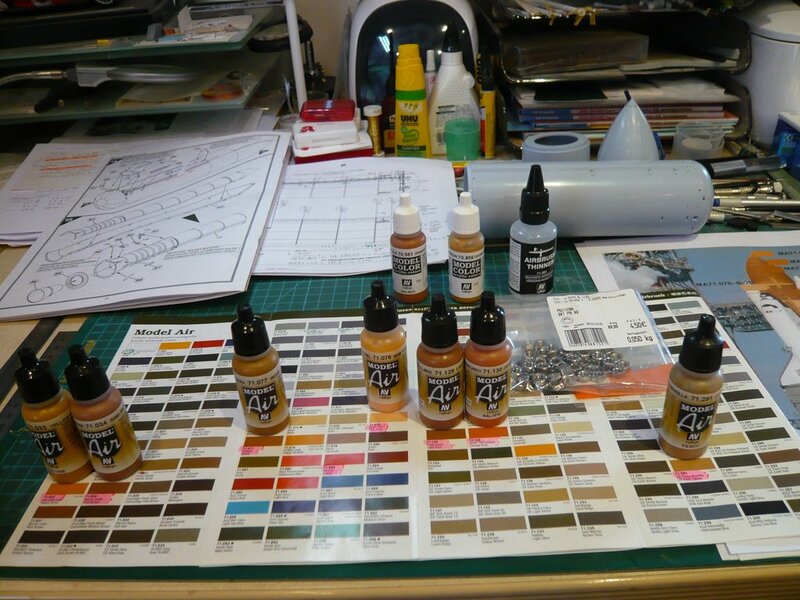 now I'm going to order the matching Vallejo Model Air Colors together with the associated Airbrush Thinner. Actually, I had so far assumed that the Model Air Colors in the practical dropper bottles are already sprayable. That this is not the case, I have learned now in this interesting video by Jens Kaup, in which he gives important tips for working with Vallejo colors that should be considered. The video is unfortunately only in German, but it is very vivid and therefore hopefully understandable. and to insert a Stainless steel hex nut M5 as shaking aid for better mixing. Of course, Stainless steel balls (0.25 inch) fulfill the same purpose. Two simple measures with great effect! Last edited by spacerunner; 04-04-2019 at 07:41 AM. so I could actually start with some mixing tests.